full service office cleaning service throughout Cape Cod. to receive a free office cleaning quote for your business! 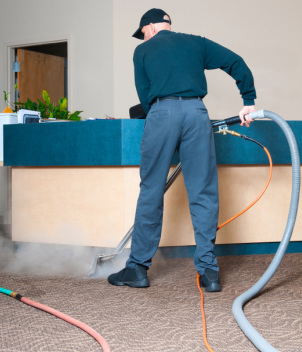 We are a full-service office cleaning, commercial cleaning and janitorial cleaning company. Our level of detail in our Cape Cod office cleaning services will have an immeasurable impact on your business, staff, and current and potential clients. When you have only one time to make a first impression, a well-maintained, clean office represents you and your business' success. All commercial cleaning companies are not the same. We offer office cleaning and other janitorial services that deliver outstanding results. Results that make you look even better. Our commercial and office cleaning services are offered daily, weekly, and biweekly for a range of clients, from offices to cinemas and everything in between. We will gladly customize an office cleaning program that fits your business needs. We do whatever it takes to get your building or office cleaning done right, on your time and the way you want it. We understand the specialized cleaning procedures that medical facilities demand. If your medical office is not white-glove clean and sanitized, your patients won’t bother returning. We steam clean carpets as well as bonnet clean carpets. Ask about our scheduled maintenance plans. We service VCT tile, as well as strip, seal, re-wax and high-speed buff floors.